Take a look at Styx’s next job. 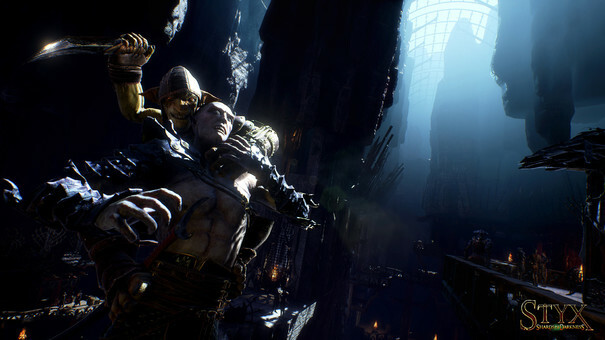 Focus Home Interactive has released a new trailer for Cyanide Studio’s Styx: Shards of Darkness, showcasing how the sequel to the 2014 stealth title that introduced the first goblin to us. Check it out below. Running on Unreal Engine 4, Styx: Shards of Darkness sees the goblin make a deal with Helledryn, a mysterious human, to steal the ambassador’s scepter for magical ember, which gives Styx his power. Of course, there are other parties interested in the scepter so it may not be as easy as it seems. Along with new gameplay mechanics, Styx: Shards of Darkness is also touting better production values, which is driven home by the improved visuals that UE4 offers. Styx: Shards of Darkness is out this year for Xbox One, PS4 and PC. Stay tuned for more information on a solid release date in the coming months and let us know what you think of the trailer in the comments below.